Our young entrepreneur focus goes to Joshua Bosire the founder of JB Events. 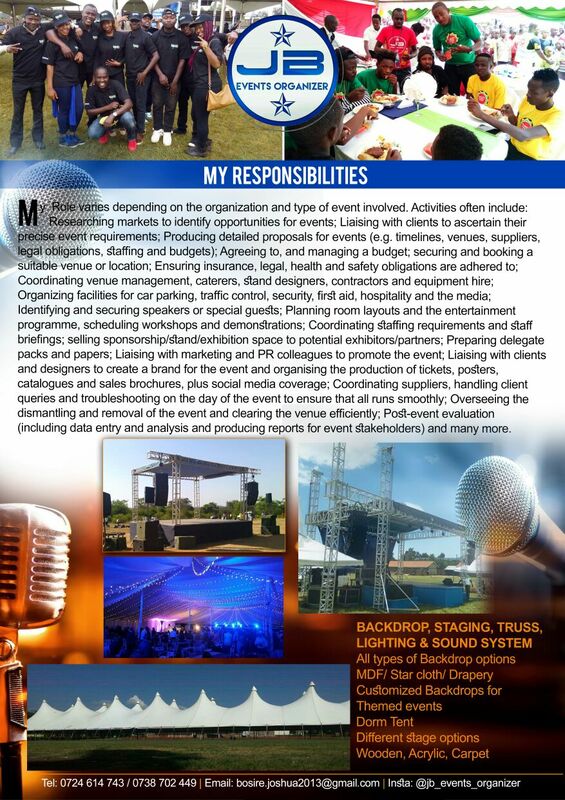 Joshua is a dedicated, motivated, and goal-oriented professional Event Organizer with over 2 years’ of experience in planning and coordinating all sorts of events, from corporate conferences to themed parties. He has a solid track record of staying within the budget when it comes to organizing a function and respecting the clients’ instructions to the letter. He also has good people management and leadership skills.